The annual UK Passivhaus Awards take place this year on 24 October at the London Build trade fair. This year, nine projects have been nominated for the awards, which seek to reward passive certified projects that exhibit a mix of robust building performance and great design. In the large residential category, sponsored by Munster Joinery, the nominees are St John’s Almshouses, a sheltered housing scheme for older persons in Litchfield by KKE Architects, and Carrowbreck Meadow, an ecologically sensitive development of affordable and private homes outside Norwich by Hamson Barron Smith. In the non domestic category, sponsored by Ashden, the nominees are: the Enterprise Centre at the University of East Anglia by Architype, widely regarded as one of the most sustainable buildings in the UK; Associated Architects’ George Davies Centre for Medical Studies at the University of Leicester, the UK’s largest passive house certified building to date, and the Barrel Store, Cirencester, an old brewery building that has been retrofitted into an Enerphit certified youth hostel by Potter and Holmes and Greengauge Building Energy Consultants. In the small projects category, the nominees are the Hampshire passive house in Ermsworth by Ruth Butler Architects, Hope View in Cradley by Warren Benbow Architects, Old Holloway Cottage in Hertfordshire by Juraj Mikurcik (and profiled in issue 27 of Passive House Plus) and Passive House Mews II, a tight landfill project in London by RDA Architects. “This year we saw a range of projects that are breaking passive house stereotypes whilst striving to capture the elusive balance between architectural delight and robust building performance,” said Yogini Patel of the Passivhaus Trust. For more information on the awards see www.passivhaustrust.org. At Munster Joinery, we hold the highest number of passive house certified windows of any window company globally. 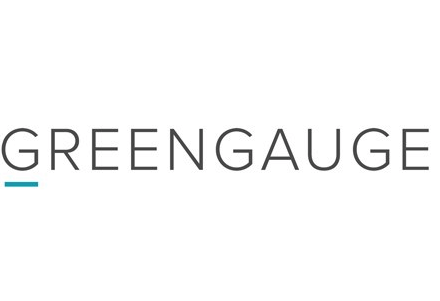 Greengauge is a building & engineering consultancy specialising in sustainable, low energy design.